Tribe isn’t just an app, it’s a supportive community of music enthusiasts from all over the world. Our community is filled with mentors, ambassadors and producers who Tribe is proud to represent. Check out their profiles below. Ellaskins built his rep as The Original DJ Mentor. His Youtube tutorials have been viewed by thousands of DJs since 2006. Click here to schedule a VR lesson with Ellaskins. Check out his Youtube here. Check out his Tribe Profile here. Dj Kara is an ambitious female Dj based in LA. She is focused on the growth and development of her skills and fully enjoying the journey. She has experience DJing a wide range of events including the nightlife scene spinning at bars and clubs around LA. Check out her Tribe profile here. J-KIND is a DJ/Producer currently residing in Oakland, California. His diverse and eclectic style transcends many genres, and is currently focused on his burning passion for techno. Be assured any party with J-KIND on the bill will be an event not to miss. Check out his Tribe profile here. DJ Trix became a pro DJ in 96’ and has been tearing up the scene every since. He’s been performing around the world, producing his own music and working on production with well known artists like Tiesto and Major Lazer. Check out his Tribe Profile here. DJ DanniBoi has been mixing it up in the SF Bay area for 8 years. 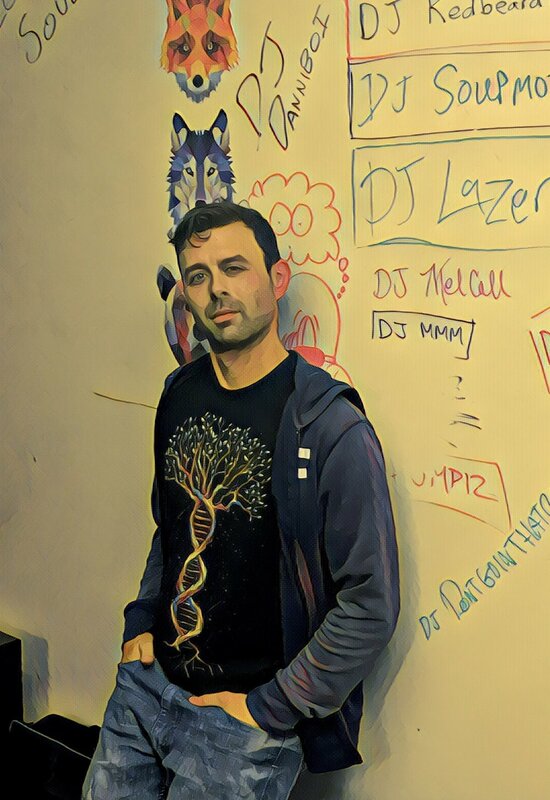 Earning a reputation for his flexible style and playing any type of gig, DJ DanniBoi prides himself on his unique mixes and ability to play anywhere. DJ Jonn Connor aka Seventh Sign started touring the San Francisco club circuit starting in 2017. Amongst those appearances he’s shared line-ups with absolute Trance legends such as Cosmic Gate, Shane 54, Jordan Suckley and Ferry Tale just to name a few. Check out his Tribe profile here. Aaron Kuppin aka Raid Zero is an established DJ on the West Coast who brings 10+ years of experience to every lesson. Aaron’s advanced technical skills, and intimate knowledge of wide array of equipment and set-ups, separate him from a lot of other DJs on the scene. Check out his tribe profile here.